OMB’s primary goal is to provide affordable housing for all economic segments of society. As an Association committed to fair and balanced regulation of the building industry, we maintain vigilance, active engagement and rock-solid advocacy with elected officials and local jurisdictions. At the same time, our Association also strives to enhance member businesses through education, business promotion and business networking. Click here to join today! OMB HELPS YOU STAY UP TO DATE AND IN TOUCH. OMB covers 5 counties: Thurston, Mason, Lewis, Grays Harbor and Pacific. When you join you automatically become a member of your local chapter at no additional cost. OMB’s chapters meet monthly. You are strongly encouraged to attend meetings whenever you can, for both networking and educational benefits.  The Education Program gives members up-to-date, informative training courses throughout the year. Many classes help members work towards professional certifications. Click here to learn more information. OMB provides members with industry and association information through the printed Chalk Line magazine and through Chalk Talk, the email newsletter. OMB GIVES YOU MARKETING, ADVERTISING & NETWORKING OPPORTUNITIES. OMB is full of marketing opportunities to help you build name recognition, both within the Association and with the public. Advertise in the promotional material for one of our many events, such as the Tour of Homes or BIG Home and Garden Show. Advertising is also available within Chalk Line, OMB’s magazine. Membership gives you the opportunity to participate in and network at the many events taking place monthly and yearly. As you can see membership definitely has its benefits! Any company providing services for the construction industry is eligible for membership. This includes bankers, financial advisors, chiropractors and even caterers. For more information about membership or any of the benefits listed above please call (360) 754-0912. Click here to join today! OMB IS WATCHING OUT FOR YOUR BUSINESS. OMB’s Government Affairs Program is an effective political action program in the cities and counties within its territory. We monitor regulatory changes such as permit fees, codes, zoning, planning, administrative reviews, procedures and policies. We regularly present our positions on these issues at appropriate hearings. R.O.I.I.® (Return on Industrial Insurance) Select, is a performance-based retrospective rating group that provides refunds when participants’ workers’ compensation premiums exceed their losses. BIAW has proudly offered the R.O.I.I.® program as a member benefit since 1982 and is the largest retrospective ratings group in the state. During the program’s 32 year history, participants have paid L&I premiums totaling nearly $2.1 billion and R.O.I.I.® Select has returned more than $400 million in refunds to participants.  The BIAW Health Insurance Program is a non-profit, multiple employer, benefit program created for members of local building associations throughout the Pacific Northwest. Purchasing power, excellent benefits and rate stability are the cornerstones of the success of the BIAW Health Insurance program. The BIAW Program offers group medical, dental, vision, life and disability plans. Over 20 custom plan designs are available including: Health Savings Accounts, and voluntary dental plans, with a range of benefit and deductible levels. The OMB Health Choice broker will find you and your company a health insurance option that fits not only your needed level of benefits, but your budget as well. Our broker, the Washington Health Insurance Agency, is a local OMB member company that has specialized in health insurance and related coverage for nearly two decades. They are an appointed and licensed agent for every major health insurance carrier in the state of Washington, so if you sign up through OMB Health Choice, you get the same price as if you were buying directly from the carrier. The Building Industry Insurance Program (BiiP) is a member benefit which allows members to purchase high-quality, competitively-priced insurance products, such as General Liability, Builders’ Risk and Builders Warranty Products, through qualified member insurance agents. Member insurance agents may also become qualified to sell BiiP products. JOINING OMB GIVES YOU 3 MEMBERSHIPS IN 1 – LOCAL, STATE AND NATIONAL. 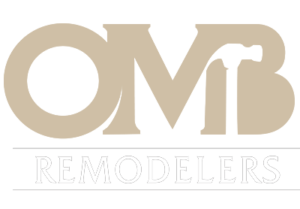 By joining OMB you also join your State and National Association for no additional fee.  STATE – The Building Industry Association of Washington (BIAW), located in Olympia, is the voice of the housing industry in the state of Washington. Their primary focus is to interact with the Legislative, Regulatory, Judicial and Executive Agencies of Washington’s government. NATIONAL – The National Association of Home Builders (NAHB) represents over 80,000 member companies across the land. Their offices are in Washington, D.C., where the highly trained staff represents your interests before various Congressional committees, subcommittees and federal departments and agencies. OMB OFFERS MEMBERS GREAT DISCOUNTS ON PRODUCTS AND SERVICES. Please contact jenni@omb.org for detailed membership information and how to join! Visit our Member Benefits page to learn more.